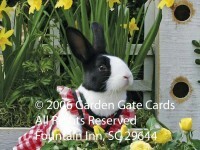 Our Dutch rabbit does not mind posing for pictures at all! If she could speak English we would not get much work done for all the questions she would be asking. Dozens of pictures were taken on this particular morning as our Dutch visited the daffodils, hopped about the roses and stopped a moment to nibble. 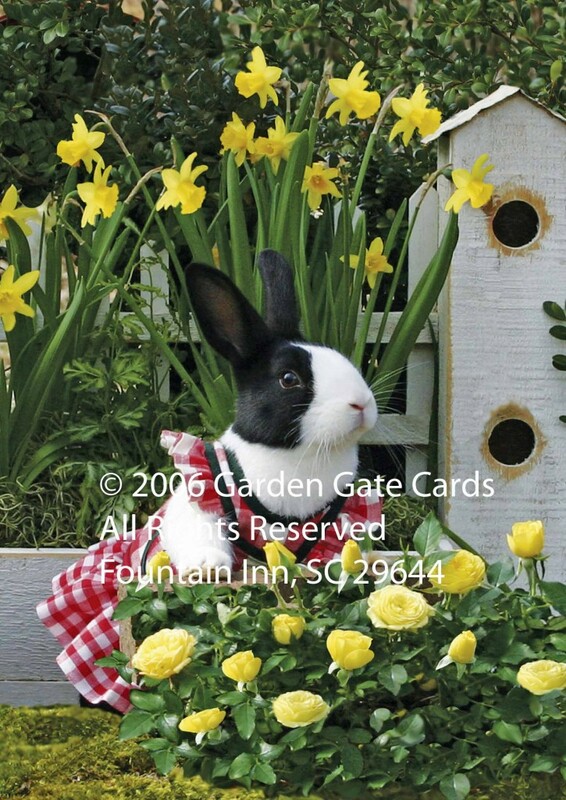 Our rabbit and roses make this a lovely note card for correspondence or embellishing a photo album!